Golfing Tucson provides information to help golfers plan and book their Tucson golf vacation packages and tee times with ease and confidence. Let our local staff of golf pros guide you through making the best decisions on where to stay and play while in Tucson for your golf vacation. We can reserve your tee times up until 90 days in advance and hotels up to 1 year in advance. We welcome you to use our free service to schedule Tucson tee times and Tucson golf resorts at low discount prices. We have insider access to all the best deals and discounts in town. See why GolfingTucson.com is your #1 Tucson Golf Specialist! Tucson, in Southern Arizona, is also known to its natives as The Old Pueblo. It is a city that boasts some of the top golf courses and resorts in the state of Arizona. Located about 2 hours south of Phoenix, this destination has it all from world class spas, golf resorts, shopping, museums, art galleries, hiking, and much more. What made Tucson famous are its championship golf courses that include Ventana Canyon, Starr Pass, Omni Tucson National and the Ritz Carlton Dove Mountain, host of the 2011 Accenture Match Play Championships. 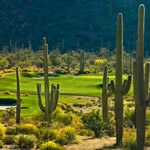 You can see why Tucson, Arizona would make a great golf destination for your golf group. The city boasts some of the best courses in Arizona and is more affordable than Phoenix and Scottsdale. Take time to see a little bit of everything and enjoy all that Tucson Golf has to offer and plan your next golf vacation package through Golfing Tucson. See you in Tucson! 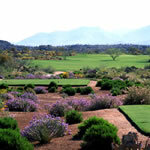 Request a free Tucson golf vacation quote today. 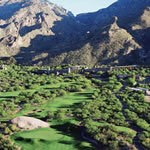 Santa Catalina Mountains are backdrop to not only one but two incredible courses that enlighten the senses. The word Ventana; meaning window in Spanish, outshines courses across the country. Home to the famous Mountain course; Hole #3 is the most photographed hole west of the Mississippi. Intriguing adventure awaits through large rock boulders, vistas and canyon creeks to create one of the most memorable moments in a golf vacation. First viewed by a global audience during the 2009 World Golf Championships, the Jack Nicklaus designed Dove Mountain is a newer desert course that spans over 6,200 acres of foothills where elevation changes exceed 2,500 feet into the Tortolita Mountain Range. A challenging yet fun layout makes this 27-hole wonder one of the most desired courses to play in Tucson. Tucson's largest golf resort is home to 45 holes of desert golf located in the dramatic foothills of the Santa Catalina Mountains. Pusch Ridge, the 9-hole course is a quick and fun way to practice your skills before attempting 18 hole courses; Conquistador and Canada. Both designs favor a traditional style design with surrounding desert terrain where fairway rise and fall through shallow ravines that are unique to North Tucson. Nestled between the Santa Catalina and Tortolita Mountains the scene is set. Abundant desert wildlife, beautiful flora and amazing mountain views. The Golf Club at Vistoso is one of Tom Weiskopf's best designs. Considered one of the top courses in Tucson, Vistoso is one of the few courses in the city to encompass generous fairways within a desert layout. Vistoso is considered one of the most scenic courses in the city.